A leader who taught us to live with dignity and honour. This book carries anecdotes encapsulating Lal Bahadur’s childhood, growing up years and political life. Each anecdote is poignantly narrated by his son Anil Shastri. And, brilliantly interpreted by Pavan Choudary. The reader will take home unique and valuable insights. 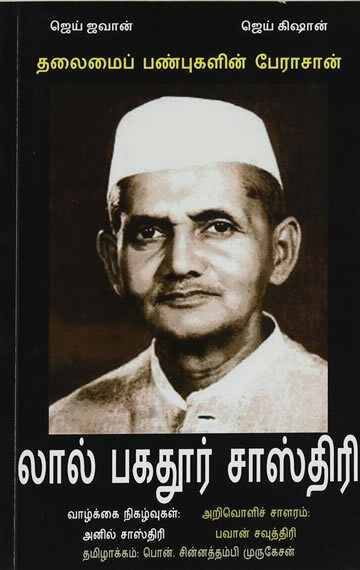 It is Lal Bahadur Shastri like never before. Anil Shastri is an Indian politician, social activist and educationist. After graduating from St. Stephen’s college he served in Voltas for 17 years. Anil joined politics in 1989 and was elected to the Lok Sabha and appointed as Minister in the Ministry of Finance. He is also Special Invitee to the Congress Working Committee. Born to Lal Bahadur Shastri, Anil has established several educational institutions and is the Chairman of Lal Bahadur Shastri Institute of Management. For more follow him on twitter @anilkshastri. Pavan Choudary is the author of path breaking books like How a Good Person can Really Win, The Rx Factor and Broom & Groom(with Kiran Bedi). Pavan is also the Managing Director of Vygon, a leading French MNC, hosts the TV program Hum Aisey Kyun Hain on DD, and has written columns for The Times of India and Financial Chronicle. He sits on some of the most respected advisory boards of India and is a Management Strategist. For more visit www.pavanchoudary.in or twitter @writerpavan.